Oliver Thomas, the year-old brand behind a line of functional, customizable, affordable handbags and accessories designed to meet the needs of today’s multitasking consumer recently announced that it had won a complete victory in a case brought earlier this year by MZ Wallace Inc. over the right to use a diamond quilted pattern on handbags. Following a full trial, Judge Denise Cote of the United States District Court in Manhattan found that MZ Wallace “has no protectable trade dress rights”—specifically, MZ Wallace has no right to monopolize the use of diamond quilting on handbags and other accessories. 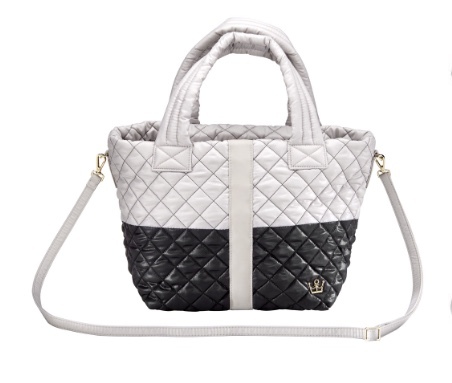 Quilted handbags are not only ubiquitous but contribute to a functional design that helps make Oliver Thomas’ bags the perfect solution for consumers looking to lighten their load with fun and functional bags. Not only did Judge Cote provide Oliver Thomas with a complete victory after trial, but the Court also held specifically that MZ Wallace has no trade dress rights in its nylon quilted product design and said that its claim was “very weak.” Judge Cote also criticized MZ Wallace’s “unsavory” business practices, such as encouraging its employees and family members to post false accusations on Oliver Thomas’s social media and threatening Oliver Thomas employees at a trade show. This ruling should finally put an end to MZ Wallace’s years-long campaign of trying to intimidate handbag manufacturers from using quilting on their nylon and other synthetic bags. Oliver Thomas is a line of fun, functional, machine washable, lightweight, customizable and vegan certified bags and accessories named affectionately after a Shih Tzu, Oliver “Ollie” Thomas. Together, Ollie and his co-founder, industry veteran Sue Fuller, founded the line and continue to create products to evoke pure happiness and make life just a little easier by eliminating the heavy multi-bag syndrome. Features such as the patent-pending “Secret Stash” compartments and RFID blocking technology are just a few beneficial things that make Oliver Thomas unique and built for how we live today. From the gym to the office to a weekend getaway, the collection offers something for everyone. Because the line operates solely on humor and doesn’t take itself too seriously, it provides customization options with letters and kitschy sayings in the form of badges that adhere to the bags and allow for self-expression and freedom of speech! Oliver Thomas gets that no one needs another bag, but everyone needs a dose of laughter, and Oliver Thomas strives to help people live the happiest, most fulfilling life and carry cool bags while doing it.